Gregory Bemis grew up in Enfield, CT, where his mother, Linda, was a Pediatric dental hygienist for 30 years. 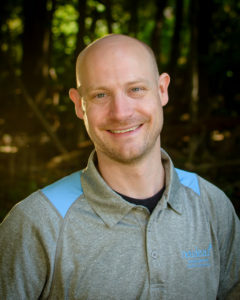 While playing football and ice hockey, Greg earned a degree in Chemistry from Hamilton College and went on to graduate from TUFTS University School of Dental Medicine in 2005. He then moved to New York City, where he attended a Dental Residency Program at Lincoln Medical and Mental Health Center in the South Bronx. Greg soon joined a private practice on Madison Avenue, in Manhattan, where he spent six years advancing his dental skills. In recent years, he has worked as a dental associate in the nearby towns of Naugatuck, Meriden, Wallingford, Colchester, and Branford. Gregory has also worked intimately with elderly, dementia, and wheelchair bound patients at nearby assisted living homes. After these ten years of experiences, Dr. Bemis is thrilled with the plan to grow roots here in Cheshire and offer his unique brand of down to earth dentistry. Combining his authentic chairside manner with an intense desire to diagnose and resolve the conditions that concern his patients, Dr. Bemis treats every patient individually, respectfully, and comprehensively. When he isn’t working in the yard or taking on home improvement projects, Dr. Bemis enjoys golfing, hiking, and his weekly ice hockey games. Jodi grew up in Pueblo, Colorado, a steel town in the southern part of the state. She’s proud to have put down her roots her in Cheshire after stints in Arkansas, Atlanta, Denver and New York City. With a degree in Financial Management, Jodi’s previous experience has been in project management, pricing and contract negotiation and vendor management, primarily in the telecommunications industry. 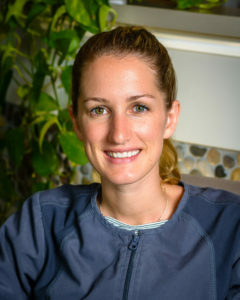 While switching gears to the dental world was a substantial change, she is enjoying this endeavor immensely and considers this role to be the most challenging and most rewarding of her professional career. 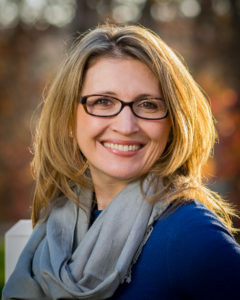 Jodi is proud to serve on the Cheshire Education Foundation Board of Directors, on the Cheshire Chamber of Commerce Board of Directors and on the Cheshire School/Business Partnership Council. Involvement in the community is of upmost importance to Jodi and she is committed to the strength and vitality of Cheshire schools and the Cheshire business community. April comes to us from the Pacific Northwest with an eclectic customer service background. She grew up in Washington and went to high school in the Seattle area. After moving to Connecticut, she earned an education in Broadcast Radio from Eastern Connecticut Radio Academy. She spent five years working in local Connecticut radio, then left the industry so that she could spend more time at home with her children. Along with her husband, Ken, and their six daughters, April moved to Cheshire in 2014 to plant roots. They enjoy camping, fishing, going to the beach and hanging out around their home as a family. 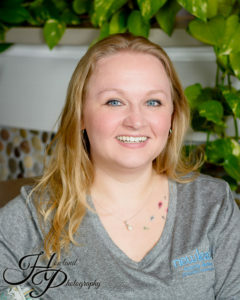 April is excited to be living and working in Cheshire and contributing to the wonderful atmosphere of the community with the fun, caring group of people at New Leaf Family Dental. Stella is a career administrative assistant bringing over thirty years of experience with her to New Leaf Family Dental. She is an active volunteer for her church community and always ready to lend a hand to anyone. She is originally from Danbury, CT. Along with her husband Michael, she raised her two children, Jenna and Michael, in Prospect, CT. She is an avid gardener, walker, and reader. She is the grandmother to two happy little ladies, Maggie and Isabel. Teri grew up in Wolcott, CT and moved to Cheshire with her family 35 years ago. She has been a dedicated dental assistant for 30 years and she brings with her to New Leaf a wealth of experience and knowledge. She has worked with many dentists in her career and has developed a keen desire to help people feel comfortable and respected in the dental environment. Teri has a sincere, honest, and calming personality that resonates with our staff and patients. 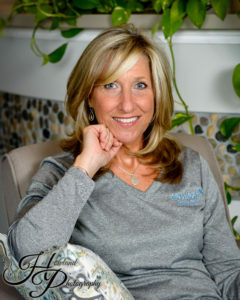 When she isn’t helping the Cheshire community with their smiles, Teri can be found embarking on long bike rides or enjoying other weekend excursions all around New England. Teri is very proud of her son, a Cheshire High graduate, who recently started at Springfield College. 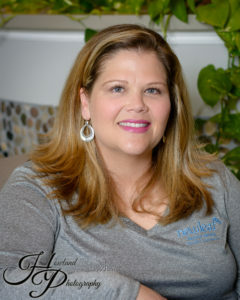 Stephanie grew up in Medford, Oregon and now resides with her husband and three children in Cheshire where they are very active in the community and their children’s activities. They also love to travel and enjoy time on the beach. Stephanie’s dental career started in 2002. She attended the University of New Haven where she received her B.S. degree and her degree in Dental Hygiene. Stephanie came back to Cheshire with her first hygiene job at Dr. Stanly Rybarz’s office, where she worked for four years. She then started at Dr. Francis Proto’s office where she enjoyed seeing patients for nine years, until his recent retirement. Stephanie loves working with patients of all ages. She brings a smiling face and cheerful, outgoing disposition to the office and she always wants her patients to feel comfortable and well taken care of. She is so excited to be a part of the New Leaf Family Dental team and looks forward to helping grow the practice. Tara grew up in Wallingford and currently resides there with her husband Kevin, and their Cavalier King Charles, Bailey. She was recently married in August of 2014 in Portland, Maine. Her, her husband and Bailey travel to Old Orchard Beach, Maine often to spend time at the beach and visit family. Tara’s dental career started in 2007 as a dental assistant. In May of 2011 she went back and applied for the Dental Hygiene program at Lincoln College of New England. In May of 2013 she received her degree in Dental Hygiene. 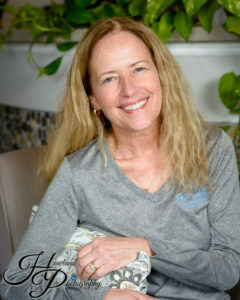 With her friendly and outgoing personality, she strives to make her patients feel comfortable while caring for their needs. Tara also enjoys seeing patients of all ages and has experience working with children. She is currently an active member of the American Dental Hygiene Association. Tara is thrilled to be a part of New Leaf Family Dental and excited for what the future will bring! Tasha grew up in the Northwest Corner of CT in Morris. 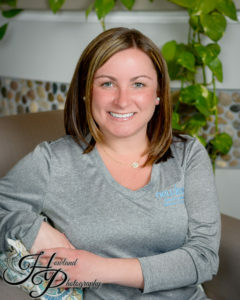 After graduating Lincoln College of New England with a degree in Dental Hygiene in 2014 she started her dental career in Amherst Massachusetts where she worked as a Dental Hygienist for three years. Having recently married in September of 2016, Tasha and her husband are excited with their move back to CT. In her free time, she enjoys spending time with her family, hiking, kayaking and road trips with her husband and their black Labrador, Cora. Tasha strives to calm patients fears and maintain a soothing environment throughout treatment. She will always greet you with a smile and talk you through each step of the way. She is beyond thrilled to be a part of the New Leaf Family Dental team!